One of my favorite parts about glamping is finding a totally unique place to stay. I’ve slept in an airstream in the desert, a gypsy boat house near Puget Sound, and now I have my heart set on a treehouse in the forest. 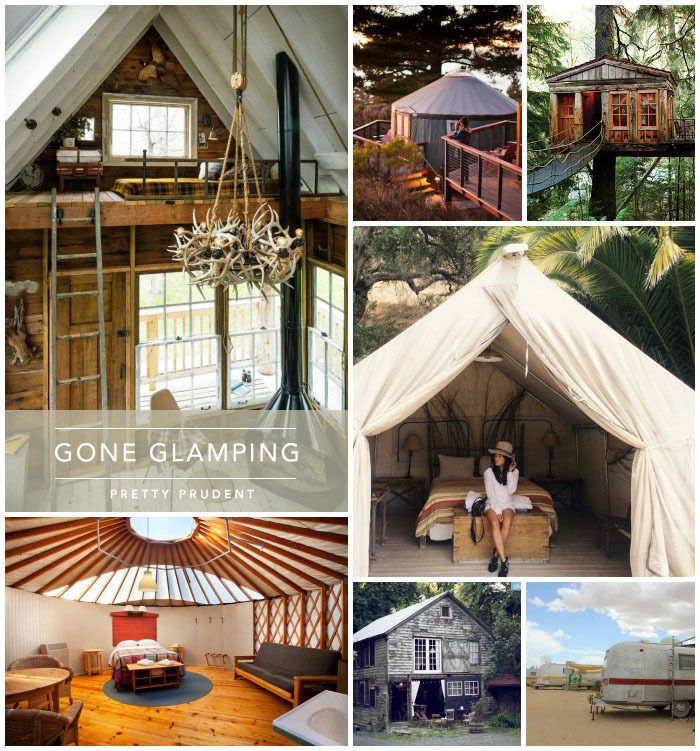 The increasingly popular glamping trend leaves no lack of one-of-a-kind places to cuddle up under the stars. Camp Wandawega in Elkhorn, Wisconsin is at the top of my list. It is a beautifully restored campsite with a whole lot of history. Just looking at the photos makes you feel like you stepped into a scene of Moonrise Kingdom. Stay in cliffside yurts at the Treebones Resort in Big Sur, California. As if Big Sur couldn’t get more magical. A few years ago I stayed in this converted gyspy boat house on Marrowstone Island, Washington. You are walking distance from a national park, the beautiful bay, cute sheep, and some of the best crab of your life. I’ve considered moving there many-a-times since we visited. If you’re heading down the California Coast, make your way to the El Capitan Safari Tents for some much needed R&R in El Capitan Canyon. After the beach, spend the day shopping in Santa Barbara. The B52s have awesome 60s-themed airstream trailers in Yucca Valley, California. Don’t forget to hit up all the antique stores on your way. I have been talking about this renovated rustic barn in Duchess County, New York all week. It’s so beautiful inside and seems like the perfect place to bring a bunch of friends. So that treehouse I mentioned, ya it exists! Treehouse Point is just thirty minutes away from Seattle and looks like a childhood dream come true. Fill a boho bag from Urban Outfitters with all your necessities before you venture out for a day hike, or relaxing by the beach. The Superga sneaker is a comfortable basic that can go with pretty much any outfit. I always like to bring along a bandana for bad hair days and wrapping around my neck to avoid mosquito bites or sunburns. 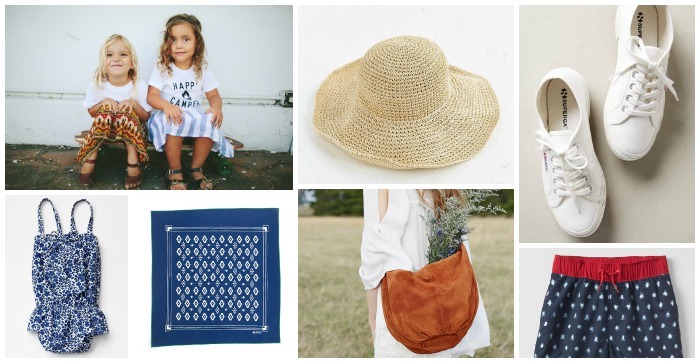 This year I have my eye on the Kiriko Bandana from Portland Supply Co.
Keep the sun out of your eyes with this stylish straw hat from Urban Outfitters (also great for hiding those bad hair days). You never know when a swimming hole will show up. Get your little ones prepared with these swim trunks and peplum swimsuit from GAP. Dress your happy camper in the Happy Camper Tee from The Bee and the Fox. 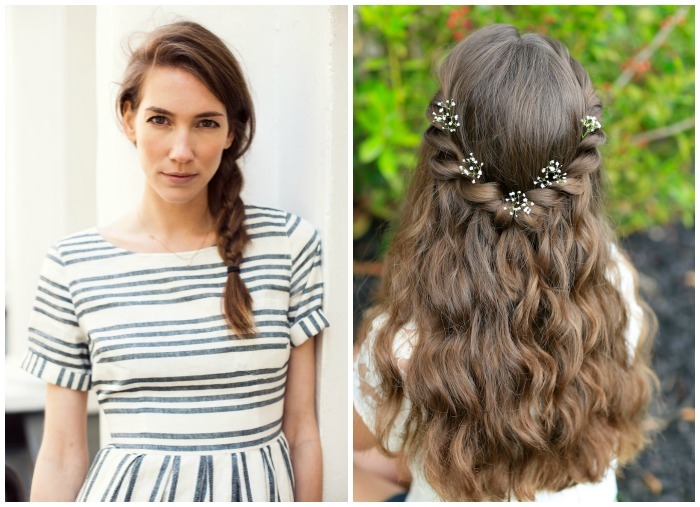 The four strand braid on A Cup of Jo is a cute hairstyle that will help keep your hair out of your face all day. If you can’t resist putting some flowers in your hair, show them off in the Princess Aurora Twistback hairstyle from Cute Girls Hairstyles. Glamping doesn’t mean you have to ditch the campfire, cook up these 4 Hobo Meal Recipes from Kinfolk. Stay energized with this tasty Feel Good Trail Mix from Chubby Soul. I am working with a pediatric nutritionist launching the book Wholesome Child. We would love to talk to you about upcoming events we have in the works. Please shoot me an email!